Ducks, falcons, stags and hounds... luxury playing cards from southwest Germany, probably for fashionable esteem. 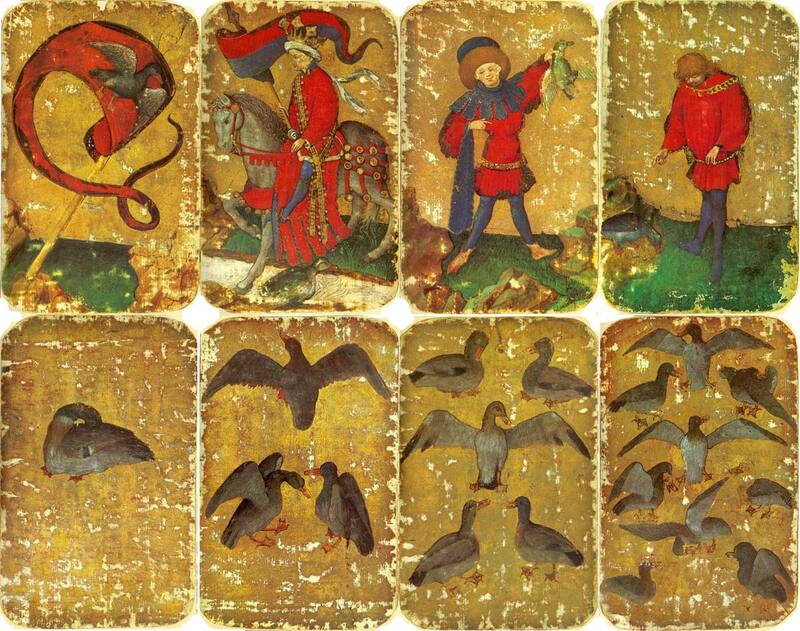 Around 1400 the sport of hunting was part of life at court, as depicted in books and playing cards of the day. Originally in the collections of the dukes of Bavaria, these are considered amongst the earliest surviving sets of playing cards. The cards are made from pasteboard consisting of up to six sheets of paper glued together, over which a layer of gesso was applied on the front side. Outlines of the designs were scratched into the surface, while some details were drawn with pen and ink. The entire surface was gilded and the designs were then painted over the gold using a variety of colours and metal applications. The backs are painted dark red. A study of the watermarks in the paper revealed that it came from the Ravensburg paper mill and was made between 1427 and 1431. 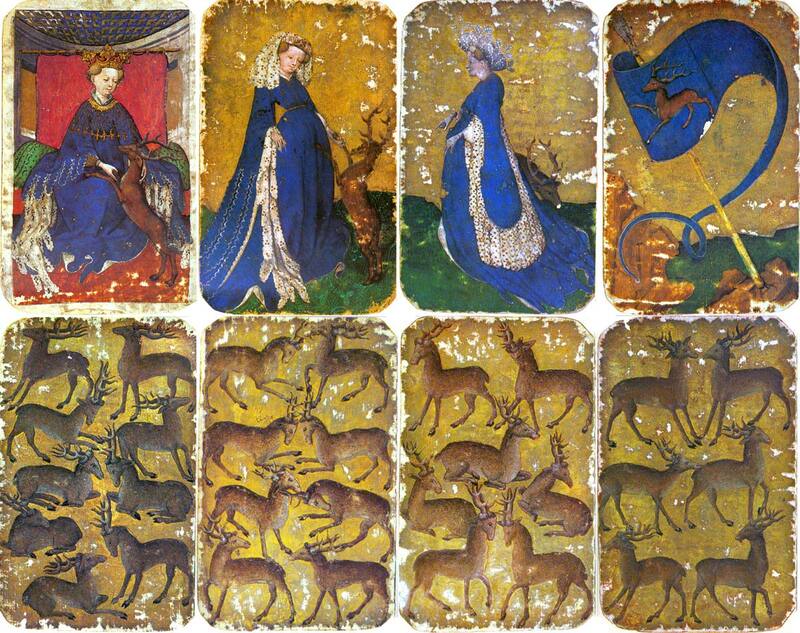 Above & Below: the pack originally contained 52 cards with suits of ducks, falcons, stags and hounds: the numeral cards (1 - 9 + banner card) with King, Knight and Knave for ducks and hawks, and female counterparts for stags and dogs. In the court cards the suit symbols are depicted in a harmonious relationship with the human figures: the artist has portrayed a somewhat idyllic lifestyle with close relationships between the figures and the animals. In the paint layers of the Stuttgarter Kartenspiel an impressive range of pigments has been detected: white lead, chalk, lead-tin yellow, yellow lake, green basic copper sulphate hydrate, copper green, azurite, vermilion, red lake, minium, charcoal black, and lamp black. A considerable variety of different metal applications results in the splendid appearance of the playing cards: poliment twist-gold, unpolished silver and gold leaf on a white ground, mordant gilding, gilding with mosaic gold, and glazing of twist-gold and mosaic gold with red lake have been observed. 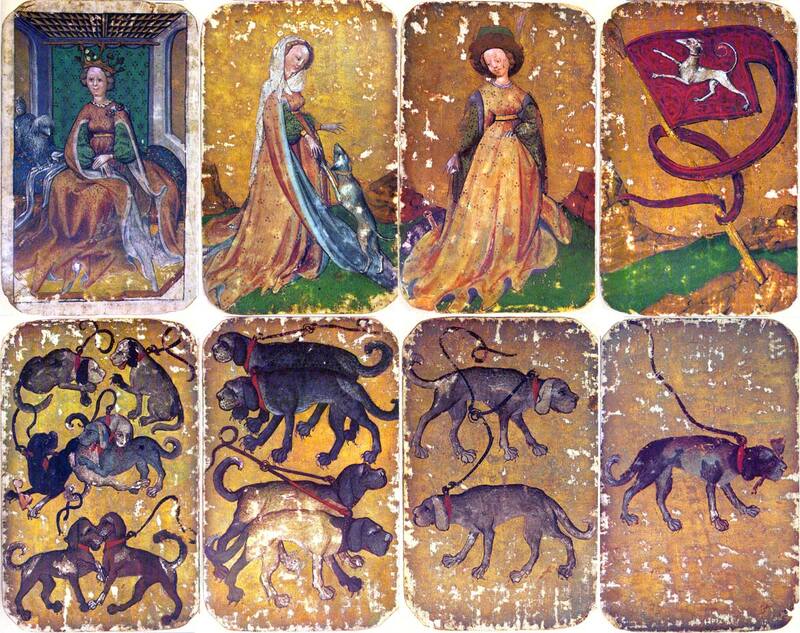 These cards were made by an unknown workshop in southern Germany, possibly Swabia. The artist has chosen suit symbols and the court hierarchy in relation to the theme of the courtly hunt. Parallels with Italian hand-painted cards can be seen in the attitudes of the court cards and the narrow landscapes with grass, whilst similarities in the arrangement of the numeral cards can be noted in other early playing cards from Germany (e.g. Master of the Playing Cards). 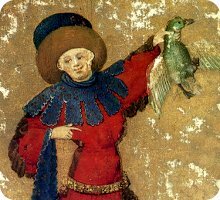 The 'Stuttgarter Kartenspiel': Scientific Examination of the Pigments and Paint Layers of Medieval Playing Cards, Ernst-Ludwig Richter and Heide Härlin, Studies in Conservation, Vol. 21, No. 1 (Feb., 1976), pp. 18-24. See also: History of Playing Cards • The Ambras Princely Hunting Cards • The Flemish Hunting Cards • The Visconti Tarocchi • Master of the Playing Cards.